Owner and President of Resu-mazing Services Company and driven to help people improve their lives by helping them with professional career marketing strategies and online reputation management services. Today is Labor Day in the US, a final summer holiday to relax and have some fun. Today’s adventure bought us to The Maritime Aquarium in Norwalk, Connecticut. For the second summer (at least), the aquarium has hosted an outdoor butterfly exhibit known as the Flutter Zone. Step inside and spend some time with our fluttery friends. Here is a handful that gave me a chance to work with the fine manual focus control on my Lumix DMC-FZ1000. I’m starting to get the hang of it. I hope you enjoy looking at these pictures. My kids and I had a great time and will look forward to the exhibit returning next summer. I’m keeping it simple for Saturday. Behold the Least Sandpiper. Has there ever been a less inspiring name? Where is the Most Sandpiper? The Biggest Baddest Sandpiper. I captured this little bird hanging out in Stratford, Connecticut this morning. Identifying it took a bit because there are many species of Sandpipers. Enjoy! Plymouth, Massachusetts offers more than enough to keep one busy for a week or more. We visited Plimouth Plantation, the Mayflower II, and, of course, Plymouth Rock. The highlight of our week was the four-hour Captain John’s Whale Watch. If you even thinking about it, go! 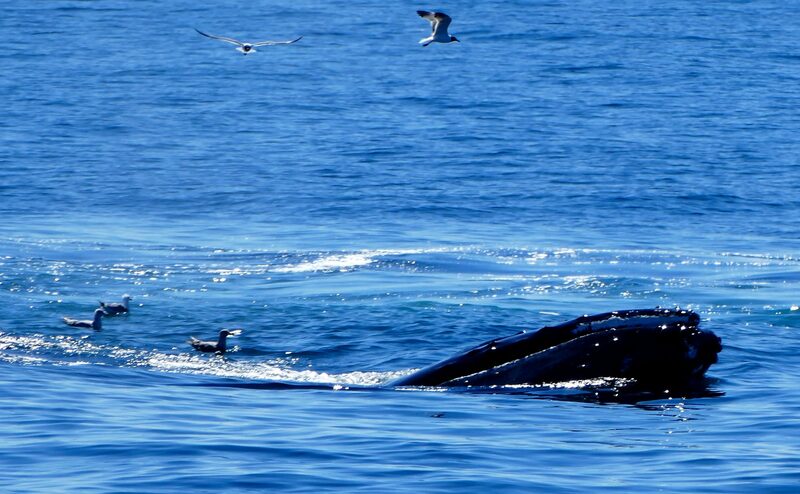 We saw so many whales exhibiting every feeding behavior of the humpback species. Everywhere we looked off of Provincetown, there where whales feeding and sleeping and, it appeared, showing off for their visitors. Pictures don’t suffice; you must see it for yourself. Plimouth Plantation is also worth at least two hours. The Wampanoag Native Americans where so knowledgeable and eager to share their culture. Engage in conversation to learn how they lived in harmony with the land and in sync with the seasons over the past 10,000+ years. The English village actors are equally engaging, though in a different way. I won’t spoil it for you. Explore and discover it for yourself. A beautiful beach just north of Cape Cod. Lots of cloud activity on Saturday night. There was a wicked storm to the north on Saturday evening, but it was still sunny here. Manomet Beach is on Cape Cod Bay, located just above Cape Cod in Massachusetts. We started off with a windy night on Saturday (24 July 2016). The storms ripped through to the north, but we got in on the action with intense winds and a near 30 degree drop in temperature. It went from hot and humid to, “Where is the blanket?” Sunday morning was gorgeous.